You are here: Home / Online / Online Homeschooling: Is it for you? Have you ever tried online homeschooling with your children? If you have you will have a small taste of the kind of freedom that can bring! Many homeschool parents worry they are ill-equipped or will miss something along the line… it is a ton of pressure being your child’s primary form of, well, everything! When you choose to do online school, your child has their own teacher(s), courses that you know include everything they should be learning at their level, and assignments with marking that is done for you. 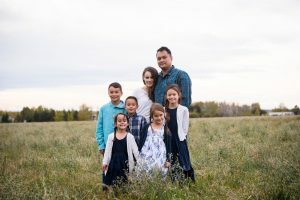 They get all of the benefits of being in school while still having many of the benefits of homeschooling: being home and learning at their own pace. In this Acellus Academy review, I am going to show you one of the best online school’s I have found to date and explain how it works. Acellus Academy is an online homeschooling option for parents. It has courses available for K through 12 and covers all core subjects as well as electives! There are over 200 self-paced, interactive courses available to choose from! Each course you enrol in includes a video lesson with a teacher, practice problems to reinforce the lesson as well as exams. Your children can work through them as fast or slow as they need to based on their needs, which ads a lot of flexibility. All of the video lessons are pre-recorded, not live, meaning you don’t HAVE to tune in at a specific time or day in order to complete your lessons and can tweak your material to fit your needs. Common Core or No? Here it is, the crux for many homeschool families… is Acellus Academy common core? The good news is, it is both! You can choose common core aligned courses or non aligned! For parents who want their children to work alongside the school guidelines so they aren’t behind if/when they return to public school, this is a great option for you! For parents that want to stay as far away as possible from common core, this will work for you too! Parents can choose to receive updates via e-mail on their students progress, or can log in to their parent dashboard on an iPad, iPhone, or computer to see where their children are at and what they have completed. There is lots of support available if you have questions or concerns. What did we think of Acellus Academy? We used Acellus Academy with my three older children, grade 1, 2, and 3. We had a bit of trouble figuring out things on our end (due to my ignorance I assure you) and contacted support for help setting up. They e-mailed back within about 30 minutes and worked with me despite my technical difficulties to ensure that everything was working and I could begin! All your log-ins are encrypted so that no one else can hack or view your children’s information which means an extra set-up step but one I was more than willing to do to protect our privacy! I have rarely seen something so secure when working with online programs for my children and appreciated the safeguard. Once we were set up, the children could access their courses directly from their iPads with an easy log in. 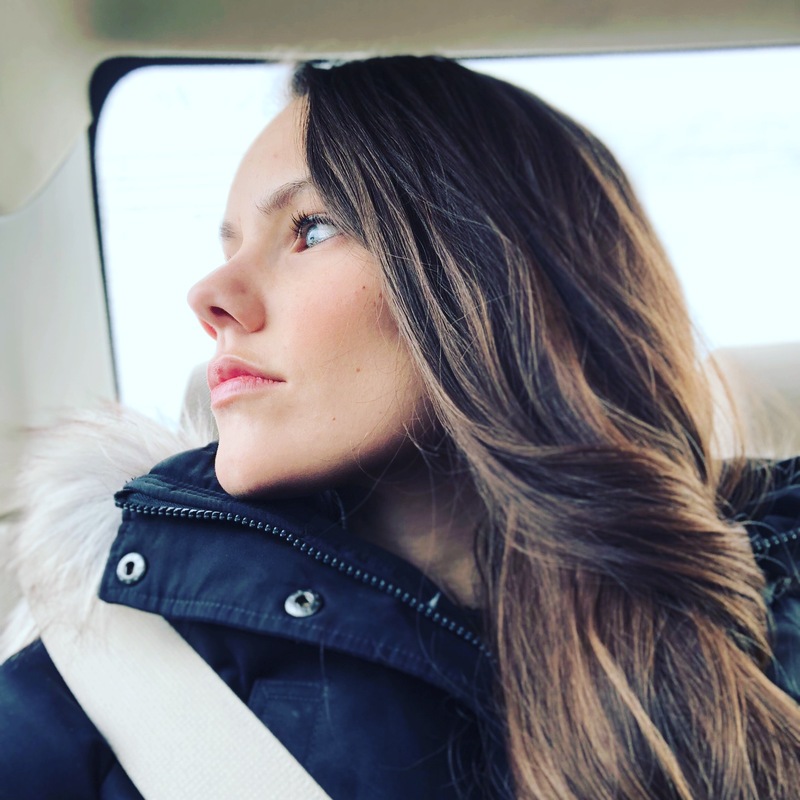 The videos are relatively short, for all the grade levels we worked with, which was ideal for us as we deal with some short attention spans over here. Though the video’s looked slightly outdated, my kids didn’t seem to mind and began to build an affinity with their teachers. Because of the one-on-one feel of the program, all of my children responded very well to the video lessons. The practice problems were well set up and easy enough for even my 6 year old to figure out how they worked. 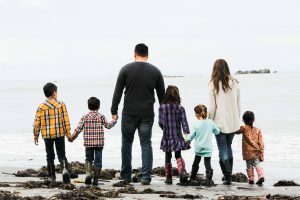 In a short amount of time, my children were closing gaps in LA, Socials and Science that we had in our homeschool and they were finishing it all in about 30-45 minutes in the morning! Instead of me standing over them to try to keep them on target, I would tell them what to do and they would just do it! I could see on my end what they had completed and how they had done and we were free the rest of the day to just learn through life, enjoy our day, do hands-on-projects, go to the beach, etc. I have NEVER experienced that kind of freedom in my homeschool so far and I fell in love with the program! Acellus Academy Pros and Cons. I promised you a truthful review, so here you have it, our pros and cons! Common Core/Non Common Core Courses Available. Short lessons packed with lots of good information. One-on-one lesson “feel”, your children build a rapport with their teachers. School can be completed in an hour or less… for ALL your children! Great for large families that struggle fitting everything in. Non-profit organization: no hidden fees! High quality teachers who present the lesson in an engaging and easy-to-understand way. Used by over 1,000,000 students across the US (because this WORKS!). It uses internet for your streaming videos: if you pay for your internet per GB or have limited internet available, you may have a difficult time using Acellus Academy because the videos are live streaming. The reality is, we loved this program. If we didn’t live on a remote island where I pay for GB of internet, we would use this everyday! It changed the entire tone in our homeschool. Instead of me being frustrated and putting all the pressure I was feeling on the kids, our days were free and open! They were finished school in about 45 minutes and we had the whole rest of the day to just enjoy life together as a family! The lessons were high-quality, they were PACKED with information and yet presented in a way that was easy-to-retain. It checked off all my learning outcomes and ensured my children were covering the gaps we were missing and keeping up with other kids their age. 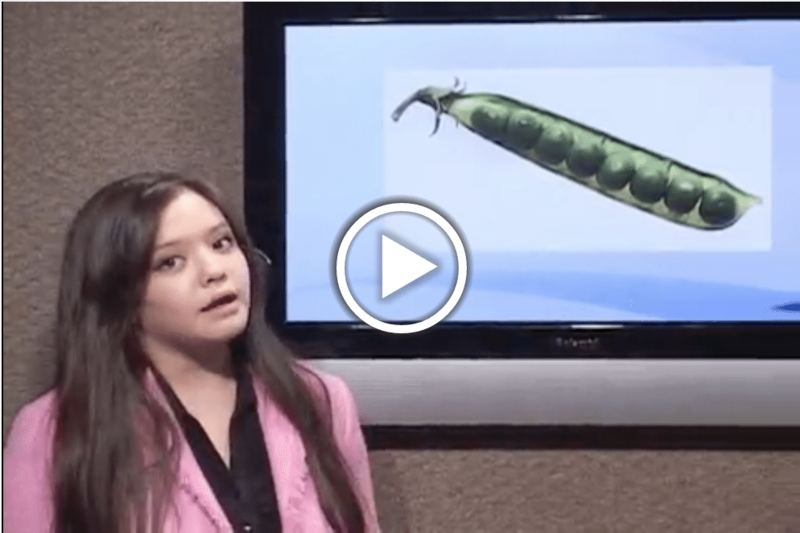 Want to learn more about Acellus Academy? 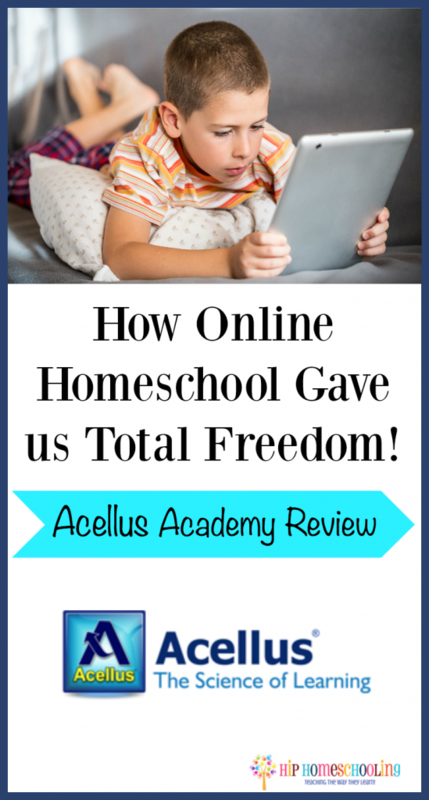 Whether you are new to homeschooling and feeling overwhelmed with where to start or a homeschool mom to 5 kids like me who is ready to pull out all her hair trying to fit in everything for every child (never mind the distractions) I HIGHLY recommend Acellus Academy. If you aren’t sure if it will work for your family, head on over and see their course list here or try out some of the sample lessons here. You can find Acellus Academy online on Facebook as well and connect with them there. 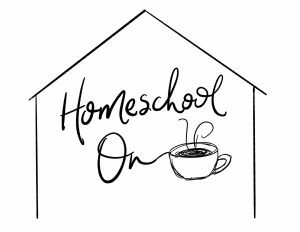 If you’re sold and want to sign up, click here to enrol now and change the tone in your homeschool for good! *This is a “sponsored post.” The company who sponsored it compensated me via a cash payment, gift, or something else of value to write it. Regardless, I only recommend products or services I use personally and believe will be good for my readers. My reviews are honest and not influenced by the company in any way. I am disclosing this in accordance with the FTC. Can this curriculum be used with android devices? Yes. We use it on androids. I made the user names the kiddos first names and the password their birth year. So even my kindergartener can log in without assistance. I was wondering how many lessons needed to be completed a day? How many did your children do per day? Let me clarify what I originally asked. How many lessons did your 3rd grader complete per day per subject? Thanks! Nevermind, I have already found the answers! I haven’t seen the answer and was wondering the same thing. how many lessons per subject per day? We also live in a remote area and struggle with internet, are you still currently using Acellus? Factor! So affordable and the material is quality ! If I could figure out how to teach/work for acellus I would! This is the best! We live in NYS where common core is rigid and the curriculum is fast-paced as well as lengthy. This helps with keeping your syllabus interesting and fun! I had a hard time deciding how many lessons they should do in a day as well. I decided that they just work at their own pace on each subject for an hour. The videos are all about 5 minutes long, so the preset 2 lessons per day seems a little silly. The kids think it’s a fair amount of time and they work at their own pace, usually completing 10 or so lessons (often more) of each subject per day with relative ease and do not feel overwhelmed. They are done with school in about 4 hours. I check to see what they’ve completed from my phone to see what they’ve done. Once you get a feel for how much work they average in a day you can easily tell if they have slacked off. I recommend letting them do as much as they can in an hour for each subject. I agree, Acellus has been the best program by far for us and we’ve tried them all. (Ok alot) 7 kids and many tried and failed curriculum programs. This program is wonderful at reinforcing each concept and moving your child quickly through the material if they know it or providing extra help when needed. Completely independent, even for my kindergarten child. Very personal and one on one. My children seem to look forward to each teacher. I love, love, love the fact that the lessons are quick and to the point. No filler material. Its been perfect for my special needs child, who hated everything school and who’s attention span is like 2.3 seconds! Extremely user friendly for moms of many who struggle with various grade levels and learning styles. I am still able to be a hands on homeschool mom by teaching penmanship, Bible, art, lifeskills and p.e..
We had a very, very, very frustrating time with acellus. My daughter got stuck on one question and it would not let her move ahead. It kept bringing her back to the same question. I went over everything with her and the question did not make sense. We literally went over the same thing for weeks. When I called customer service they said they had no way to move her beyond that question. I really wanted to like this program because I like the concept and some of the courses offered but I’m not paying for her doing the same thing over and over again. Parents need to have access to the answers to the questions or at least customer service should have access to the answers, otherwise it is impossible to move ahead. I was not impressed with their customer service at all. Basically they cannot offer any help. I escalated the call to a manager who was also not able to help me. Ended up having to cancel my account. They had just charged me for the next month. She said she would put in a request if it could be refunded but I don’t hold out much hope. Last time they told me they’d put in a request on another issue, I never heard back. Can a someone doing homeschool only use Acellus to complete and graduate High School? Acellus does have a HS program that they say is accepted. However do think that a student may do better with a GED, SAT scores, and some AP courses to apply to the universities. Where do you find this $29.95 price? I am browsing their website and it says tuition is almost $1,000 for a kindergarten school year.